I'm in Central Pennsylvania. We're flooding right now from Gordon+Front. The ground in the Mid-Atlantic is so soaked that if we even get a little rain from Florence, it's going to be a disaster. Sending folks north to the Mid-Atlantic is not a good idea. Honestly I don't know. The best bet for us is to follow the NHC track/cone. They do look at the models but also put their years of meteorology to work to make the best guess at where this thing will eventually go. The blend is still the way to go.....the Euro is the southern outlier the GFS is the eastern outlier ( ICON is if we count it ) the Ukie and FV3 and CMC are all in between......so this means ILM to maybe MHX is the sweet spot. The angle is also pretty different with the Euro flat and almost WNW, where as the others weaken the ridge a bit more and are more NW...if the Ukie is similar at 12Z today to its 00Z run last night then I think the Euro will be the one to adjust closer to the others. if im on the sc coast the 00z EPS would reinforce the fact that preparation is vital. the nhc cone is there for a reason. Going to be interesting to see what the models do today. It looked like they were coming into agreement until the Euro went south again last night. Looks like the NHC track stayed the same, though. Is DC/NoVA not a good place to evacute to? Landfall at like MHC and a slow drift and stall up to the NC/VA line is going to inundate the DC area with much of the rain that the Euro has going into central and western NC. And the DC area, as you know I'm sure, has had a ton of rain already in the last couple months. It's on the northern edge of the danger area for sure but definitely still in it. 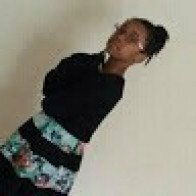 Hi all down in SC and NC . I spend my vacation every year down in Litchfield beach and this past year while on vacation my son was diagnosed with luekimia . He was air flown from litchfield to Charleston SC children’s hospital . I’ve made some amazing friends while down there and honestly everyone from the south that I’ve met have been so friendly and nice . Helped my family out in the worst of times . So if this hurricane hits I just want you all to know we here in the Bronx are praying for all you . You all are amazing people and I hope all your family and friends are all safe . Yes, the rain this weekend in NoVA was unreal, waves of torrential downpours day and night. Parts of Alexandria alread inundated by the Potomac. NOAA "Kermit" was supposed to take off at 12z from Bermuda for a mission. Awfully hard to get recon into this storm (although that should change today). Brad P. must not be feeling the latest Euro/ more west based solutions yet. Check out Huffman latest tweet. 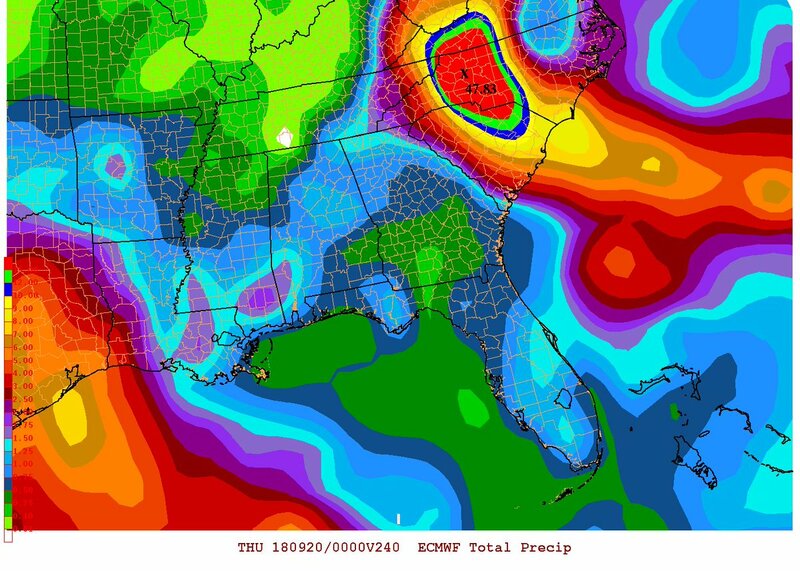 Euro clown map showing 47 inch bullseye western NC. Sad thing is it floods river basin and comes right back down to landfall point/coastal areas that just got cat 4 landfall. Double delayed whammy. So those WPC forecasts aren't entirely automated but they do lean heavily on the GEFS and NCEP numerical models. As a life-long Outer Banker (until recently), my experience plus the current modeling suggests to me that a landfall closer to Cape Lookout seems more reasonable at the moment. That's just my 2 pennies. I know UNC-Wilmington has canceled class for the week and told the students to go home. 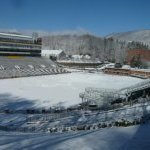 I hope the colleges in the mountains like App State, UNC-Ashville, and Western Carolina are going to do the same. I'm just sitting here and taking it all in. After the debacle that was Matthew around here in October 2016, I'm not too fond of anything over 6" of rain. Just sharing what @crankywxguy posted on Twitter. He favors a more northward situation. I guess if we had to pick a solution, that would be the one to take as it spares the most people. It would still be bad, but I'd consider it a small win none the less. He explains things quite well. He has sound reasoning behind what he says. I sit on the northern end of the Albemarle Sound. Anything that comes in aeound MHX and rides north (just to my west) is a doomsday scenario for my location and Hampton Roads. Couple that with the drenching that has been going on since last week and, well, it isn't good. I noticed that about five minutes ago, Brad P. stated in a reply tweet that modeling was coming north with the track. Just got off the phone with my Mom who lives in New Bern, NC. SHe does not want to leave. Waiting for my Dad to get from running errands so I can try and persuade him. What are the things I need to say to them to get them to get out of harms way? Howdy all, interesting weather in the summer, go figure! I'm really not a tropical guy and I don't really follow weather very closely in the summer. But I usually pay attention to tropical storms tracking toward the Carolinas. I've never seen a storm that I recall come up SC/NC and go NW (other than Hugo). 98% of the storms re-curve more toward the north and NE. If I had to bet, I'd say this one will do similar. Though we hug the EURO in the winter, I'm leaning toward this affecting the Eastern Carolinas more as usual. I'd be surprised if Charlotte north and west had any extraordinary weather. With that said, considering we've got another 3 days before landfall I bet the final track is totally different than what we're seeing. The last 2 years have shown these systems go where they want to go and we're not that great in predicting them yet at long leads. Regardless of how people feel about him, I just watched Joe Bastardi's daily update, and he's with the Euro camp of having a landfall between Myrtle and Wilmington with it tracking towards the mountains. He's been spot on so far and was spot on with Gordon, so I'm not sure what to think. I'd put way more weight toward the euro and its ens suite verse all the gfs and all those model plots that are derived off the same exact physics the gfs is. Just my 2 cents. I'd pay money for the gfs camp to finally get one right and save me alot of headaches selfishly. Always better to go lend help than be the one receiving it. For days I've felt like this storm is going to take an abnormal path. I think we are all trying to apply way too much of the "it usually happens like this" logic for a storm that has been anything but logical to this point. Mandatory evac of Outer Banks of Dare County starting at noon today for areas in yellow. Red areas at 7am tomorrow.